The lighting systems of the Lumilite family. High brightness, long service life and low consumption guarantee constant, reliable and efficient operation. All our LEDs are made according to our precise specifications that guarantee an optimum result in color rendering, color saturation, efficiency and reliability. Depending on the application, we use the most suitable lighting system, starting from the direct LEDs to a pixel by pixel control system. The best possible performance along with very high efficiency. The light is directed on the fabric enhancing colors and contrasts. Consumption: 20 Watt per square meter. LED bars with 180° diffuser lens. The polycarbonate lens allows for optimal light diffusion while protecting the LEDs from any impact. 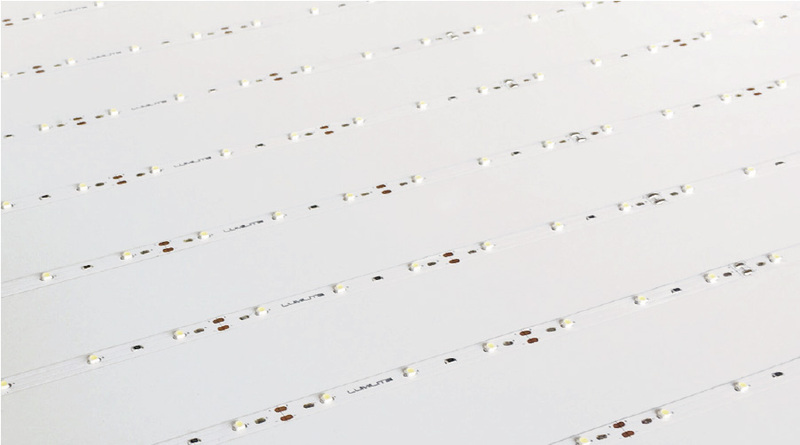 RGB LED modules with programmable lighting for Pixel systems. Consumption: variable, depending on the animation.